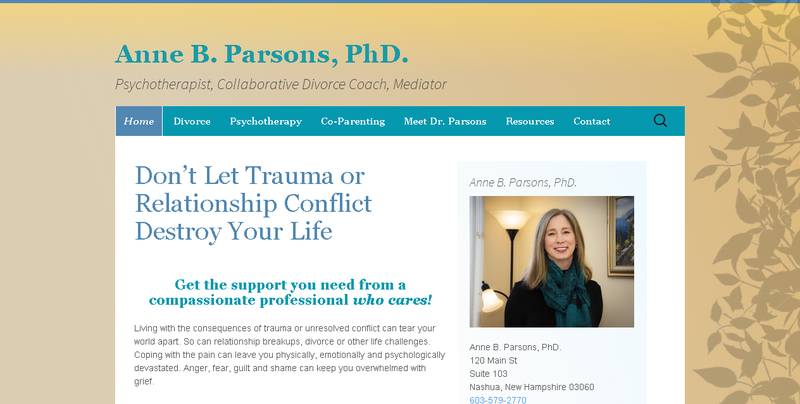 I launched a WordPress site for Anne B. Parsons, PhD. recently, using a modified version of the Twenty Thirteen theme. 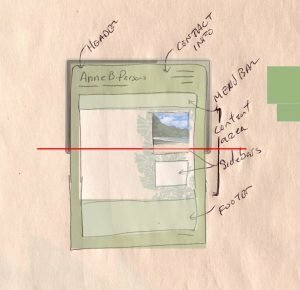 My first iteration of the site was designed to match Anne’s business card. 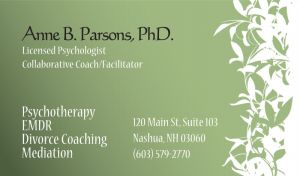 After a few iterations we want with a warm inviting color scheme, instead of following the style of the business card, but kept the leaf background. The vertically repeating background I built from several images of clematis branch I found online. Kimball is a website designer and developer in Goffstown, NH. Next Next post: Vigilant Inc.